We provide statewide family support services to assist loved ones in managing the stress and crises that can occur when a loved one is addicted to drugs and other substances. Are you a family member with a loved one affected by Substance Use Disorder? Our statewide Family Support Groups can help you manage the ongoing stress that occurs when your loved one is living with addiction. Many families are suffering in silence. We welcome you to join other parents and adult family members who will share their experiences, lend support and guidance in a free, structured, peer to peer, non-clinical environment. You will find strength in sharing and develop better coping skills! Never give up hope! Would your employees benefit from an opportunity to discuss their concerns around the substance use affecting our communities? Granite Pathways will send someone to come to your workplace during lunch hour to educate your employees about substance use disorder (SUD) and the resources available to them and their family members. There are ways to help children and teens avoid substances. There are resources available in our communities, as well as at the state and federal levels. There are people in the communities to help you and your family address substance misuse. Are you interested in starting a Family Support Group in your area, becoming a trained Facilitator, or scheduling a Lunch and Learn session? 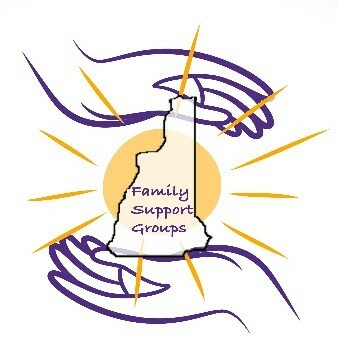 For Information on Families Hoping & Coping, visit their Facebook page.